I don't think 'I'm telling tales out of school' when i say: Mickey Rourke has undergone an extensive amount of plastic surgery. And now, just when you thought you'd seen all the 'closeups' and 'before and after' snapshots, these shocking behind the scenes photos emerge. 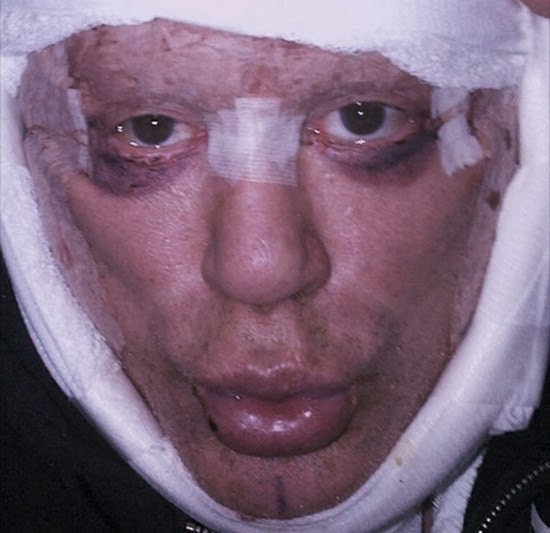 Last week a plethora of startling photos were unearthed by The National Enquirer which showcases actor Mickey Rourke bruised and bandaged just hours after undergoing yet another round of cosmetic surgery. 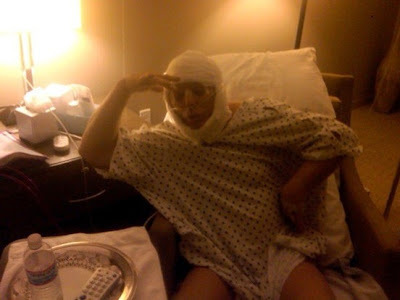 At this point its unclear exactly which procedure(s) Rourke opted for this time around, but from the looks of the post-surgery photos we'd guess he opted for another facelift, perhaps a corrective procedure to mend his previously botched facelift. The bruising seen around his eyes would typically indicate an eyelid lift. 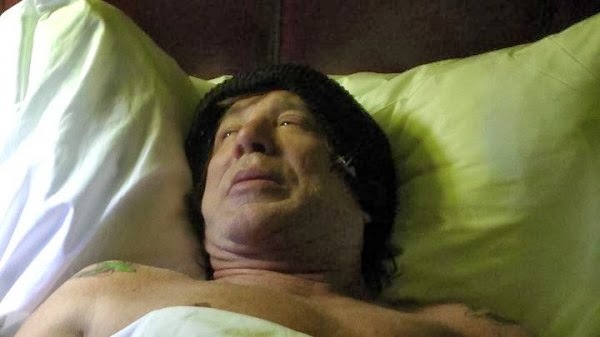 Get a load of these candid snapshots of Mickey Rourke like you've never seen him before, and hopefully never will again. At least in these circumstances. Meanwhile it would appear that Mr. Mickey is rather enjoying his time in the recovery room, as he poses and puckers his revamped mug. Watch out Joan Rivers and Jocelyn Wildenstein! 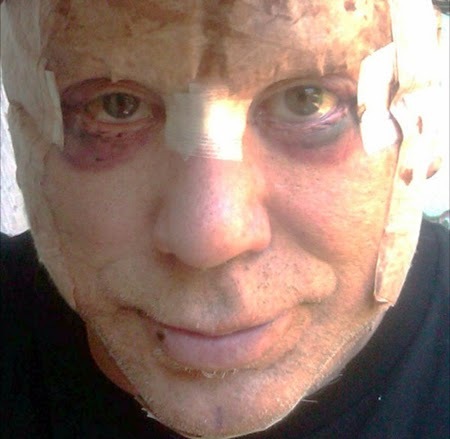 If Mickey continues on this current path of plastic surgery supremacy, he'll quickly elevate himself to the top spot and claim the coveted crown of Hollywood's worst plastic surgery victim.